This has been a splendid week for everyone at the Freelancer.com group. We’ve reached our greatest milestone to date: hitting the 25 million users mark! Yes, we’re now bigger than the population of Australia and that’s all because of you. 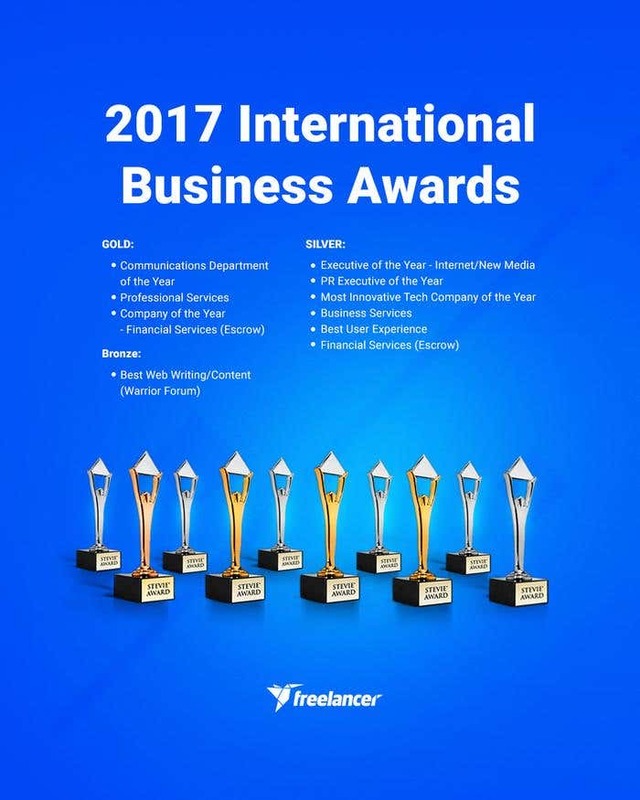 Two days after that tremendous milestone, we’ve found out that Freelancer has won 10 Stevie® Awards in the 14th Annual International Business Awards (IBA). This year, we bagged three Gold, six Silver, and one Bronze Stevies, in five awards categories. The IBA honors companies and organizations around the globe in different categories such as management, public relations, information technology, customer service, marketing, and support among many others. We’re sharing this award with all of you. Beyond these recognitions, what truly matters to us is how we can continue to change lives across the globe. Thank you, for taking part in our grandest mission. Ten-time Webby award-winning Freelancer.com is the world’s largest freelancing and crowdsourcing marketplace by total number of users and projects posted. Over 25 million registered users have posted more than 12 million projects and contests to date in over 950 areas as diverse as website development, logo design, marketing, copywriting, astrophysics, aerospace engineering and manufacturing. Freelancer.com has offices in Sydney, San Francisco, London, Buenos Aires, Vancouver, Jakarta and Manila. Freelancer Limited is listed on the Australian Securities Exchange under the ticker ASX:FLN. Warrior Forum is the world’s #1 Internet marketing community & marketplace since 1997. Warrior Forum was acquired by Freelancer.com, the world’s largest online services marketplace in 2014. Warrior Forum is the ultimate place to learn new online marketing and growth hacking strategies and guides to launching a new product or service online with over 1.2 million of the world’s top Internet marketers and entrepreneurs.